CONTINUING OUR FOCUS ON AMERICAN PRODUCTS THAT DRIVE OUR LIFESTYLE, WE TOOK A TRIP DOWN TO MIRAMAR, FLORIDA, FOR A ONE-ON-ONE TOUR THROUGH ONE OF OUR INDUSTRY’S MOST RESPECTED MANUFACTURERS. JL Audio has a classic story of entrepreneurial success made possible by the efforts of a highly motivated, talented and passionate group of real audio people. It all started in the mid-1970s when two high school buddies decided to fool around with component speakers and began building home-use loudspeakers for fun during their summer break from university studies. At first, they only showed them to their friends. Then, their friends bought a few of them, and they built a few more to sell at the local weekend flea market. Soon, the hobby turned into a fun little business, and the two friends chose their first name initials for the fledgling enterprise. While Jim Birch and Lucio Proni were turning their passion for sound into JL Audio, they had no idea what they were starting would eventually become one of the world’s most respected audio brands. Opening their own retail store called Speaker Warehouse was a way to sell their products and provide loudspeaker repair services on a local level. As the word got out that these guys really knew their stuff about speaker systems, their small retail store in Hollywood, Florida, began to thrive. Soon after, Lucio started to design new products, including more home speakers, DIY speaker kits and DJ speaker systems in order to carry more interesting products in the store. The first JL Audio car subwoofer driver was the 8W2, a simple-looking 8-inch woofer that delivered excellent output and low-frequency extension. Variants of the 8W2 design in 10-inch and 12-inch sizes soon followed with similar success. 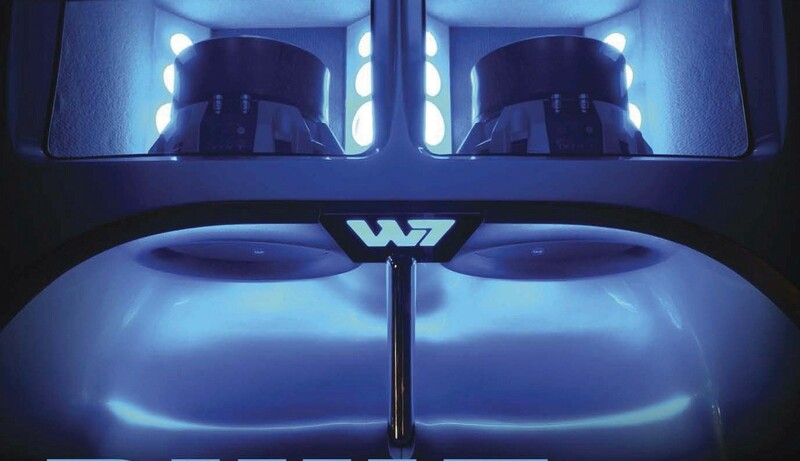 In 1987, Lucio followed with more powerful W5 dual voice coil subwoofers in 10- and 12-inch sizes.